Marvel's move back into console gaming takes a huge step today, as the comic book company announces a multi-year, multi-game partnership with Square Enix, beginning with The Avengers Project. 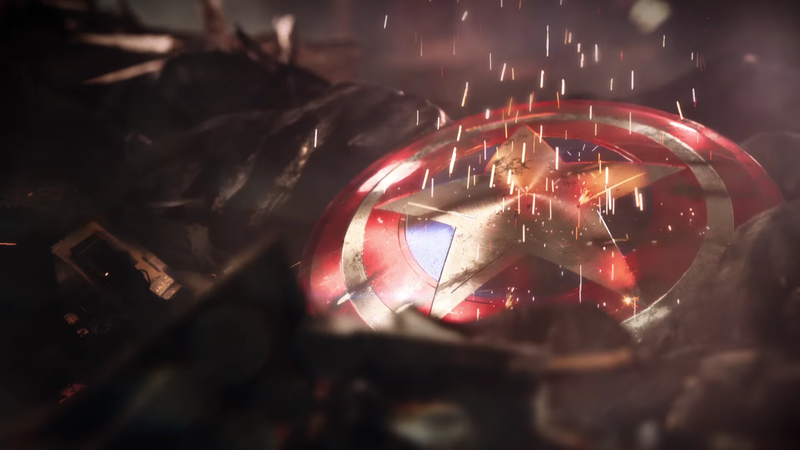 Developed by Crystal Dynamics in collaboration with Eidos Montreal, The Avengers Project is the working title for the first game to come from the newly-announced partnership. Details are scant, and the description provided is pretty vague. The announcement was accompanied by a trailer, which is also rather vague. We'll have plenty of time to speculate about exactly what The Avengers Project is, as more details on the game and additional games being developed under the partnership are expected in 2018. The partnership is another indication, alongside the Spider-Man game being made for PlayStation 4, that Marvel is shifting its gaming focus from mobile back around to consoles and PC. Ugh I hope marvel are writing the story and dialog. Any time a games publisher goes in on developing a "universe", it always ends horribly at the first game. I'm happy to be wrong, but that lack of genuine passion for an individual project is hard to mask. They've managed pretty well in the movies. Haha. I wasn't very clear. I meant Marvel set out to create a universe in the movies and they are doing pretty well. Marvel really are trying to take the Mantle from DC in regards to best comic book game. They are going to have to do produce something phenomenal to kick Arkham Asylum from its perch. I think I will wait till its out before I call my judgement but previous experience with movie games has not been that swell. It's not a movie game. Can we please have Marvel Ultimate Alliance 3. Marvel Heroes is better after adding gamepad support, but still not what I want.